In the first 10 years of managing holistically, Roaring Springs Ranch was able to double their carrying capacity. Then, because of their improved grazing practices, wildlife habitat improved as well. The sage grouse population has increased by 30% and the redband trout population is up 80%. So what is ranch manager Stacy Davies doing that you could do too? Stacy Davies has been managing the Roaring Springs Ranch for 20 years. “One part of it is the grazing management, but it’s much bigger than that. It involves taking responsibility for our entire lives. They told us not to complain about the markets, the regulations we have to deal with, nor complain about drought. Instead, we should do something about these. 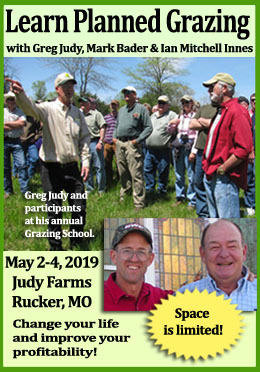 That’s the basis for Country Natural Beef, for our intensive grazing management, and reserving forage for drought relief—and all the other things we do in order to survive through good times and bad,” he explains. “The biggest shift in my thinking, in embracing Holistic Management, was when I accepted the fact that we are simply grass farmers, harnessing the sun’s energy, harvesting it with cattle and selling it as beef rather than being cowboys. In that context, recognizing that we play a little different role than what we might have earlier envisioned—that we are not just cowboys herding cattle around on the land—was a major mind shift for me. Profitability comes from either growing more grass, harvesting it more efficiently with our cattle, or marketing it better through our beef,” he says. Technology plays a role, but we can’t allow it to override what’s best for Nature. “If we fight with Nature, we are going to lose. Thinking about the whole—everything from photosynthesis in plants to the end consumer eating protein—is much broader than just being a cowboy and raising calves. The opportunity for economic gain is much broader when you look at the larger whole.” A person must try to understand the land, and what it takes to feed that cow, and grow the meat. Located near Frenchglen, Oregon, Roaring Springs Ranch, is one of the larger extensive grazing operations in Oregon. This cow/calf and stocker operation utilizes more than one million acres, made up of a combination of private and Bureau of Land Management allotments, for year-round grazing. The ranch goal is to be economically and ecologically sustainable, eliminating the use of harvested and stored feeds. “The reason that stock-raising continues to be sustainable is bunchgrass. That’s what nature provides in southeastern Oregon. It’s a renewable resource that can be harvested on an annual basis. The best way to harvest this is with livestock. Sheep, cattle and horses are hardy enough to survive here, and cattle are the most abundantly marketable,” Davies explains. Because the growing season is short, native grasses are what do best in this area. “Typically we have about 70 frost-free days, about 12 inches of precipitation and limited irrigation water. The high desert is bitterly cold in winter and snow depth can vary. The high elevation and cold is what drives our climate and the native bunch grasses are hardy enough to thrive and produce strong forage. Livestock do well on it,” says Davies. 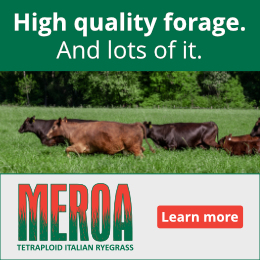 “In our climate the valleys are open enough that we can graze through winter, so we save forage in the valley floor for cattle to graze all winter. Some operations put up hay and feed hay, and we do some of that as well. But we are mainly using what nature provides, as a renewable resource—converting grass into a saleable product which is meat. This is the key to our high desert economy,” he explains. Ranch biologist holding a redband trout in spring spawning colors. Their population has increased by 80% due to improved management. “When we apply management with those mineral/water/energy cycle thought processes as guidelines, we can make progress faster because they build on one another,” says Davies. “The way we get organic matter back into the soil is with animal impact. The more numbers in the herd, the more animal impact. It’s an upward spiral; these things build on one another and they all increase together,” he explains. A pair of strutting male sage grouse. The sage grouse population has increased by 30% in the past 15 years. In particular, they have seen neotropical migrant birds increase by 19% from 1999 to 2009. They have also seen nesting pairs of Greater Sandhills Cranes increase by 251% in 10 years. The Sage Grouse lek counts show an increase of 30% in the past 15 years, and the Redband Trout populations are up 80% since 1986. Another priority has been control of juniper trees (which use a lot of the available water), along with the change in grazing management. “This has had a very positive impact on rangeland health,” he says. “We are unable to manage as intensively on the public land we use, but we have put in a lot of water developments on our BLM allotments, to allow us to increase herd size. If you have 3,000–4,000 cows together in one area, it takes a lot of water, especially during the heat of summer. We’ve put in a lot of 10,000 gallon water troughs, additional wells, some pipeline systems, and additional water holes. Our summer range has mostly springs and creeks which have become more productive because of our range management, but water is always a major concern and requires attention to make it work,” Davies says. Because of improved grazing practices, the Roaring Springs Ranch now has improved wildlife habitat for a host of different animals including deer. “The three-part goal of Holistic Management includes the environmental piece, the human piece, and the financial piece. The human piece is the most challenging for most of us because it’s so broad. It includes everything from family communication and employee communication to community relations, working with the government agencies and our connections with consumers,” says Davies.“We have been very proactive in working with the government agencies to sign agreements that demonstrate that we are focused on rangeland health and wildlife success. That gives us some flexibility that we would not otherwise have. We’ve been proactive in addressing problems and trying to solve them, because we work within the Holistic Management context. We recognize that our success is dependent upon our performance more than on outside factors, and we need to take responsibility to achieve success,” says Davies. Grazing management is a big part of Holistic Management, but the bigger picture includes marketing as well as growing the cattle. 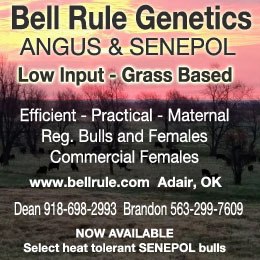 “We market all our cattle through the Country Natural Beef Co-op, which is direct to the retailer/consumer. We have taken the market fluctuations and marketing aspect of our product into our own control. This has been very helpful,” he says. “Through Country Natural Beef, because of our Holistic Management focus, we realize that we need people in the cities to understand what we do so they will consider the impact of their vote and their spending (and allow us to continue in business). To make that happen, we have to touch them. We need to reach out and connect with them,” he says. “We spend time in retail stores visiting with consumers, host tours, speak at colleges and conventions and try to be very active in communicating the ranching message to our urban cousins who sometimes in ignorance cause us trouble. If we can remove some of that ignorance, we hope to have allies when we need them,” he says. This all comes about through managed grazing but is based in the larger context of the whole, and taking responsibility for our actions. “We recognize that we can make a difference, and then we try to implement it,” he says. “This is more important than just chasing cattle around on the land and wondering why we are running fewer cows instead of more. It’s a big responsibility for us, and it’s been a big change for me these past 20 years in trying to get better at it,” he says. Given what all that the team at Roaring Springs Ranch has been able to accomplish, they are a great example of what people are able to achieve despite a host of changes and challenges. “Holistic Management has been a lifelong journey that has been a lot of fun,” he says. “We’ve had an absolute blast in life, trying to figure it out. We’ve gotten better, but it’s still not perfect!” he says. Since 1984, Holistic Management International (HMI) has helped communities grow and thrive by educating family farmers and ranchers and pastoralists in regenerative agricultural practices that empower them to strengthen their businesses, produce healthier food, improve local wildlife habitats and protect the environment. HMI's mission is to educate people in regenerative agriculture for healthy land and thriving communities, which supports their vision - a world where lands and communities flourish through the practice of Holistic Management®, an internationally recognized regenerative agricultural practice. HMI offers various training platforms for ranchers, farmers, land stewards and consumers. Other benefits include being part of HMI's worldwide network of conservation award-winning agriculturalists and Holistic Management Certified Educators, HMI's #LaVidaLocal blog, free learning downloads, IN PRACTICE bi-monthly journal and free bi-monthly e-newsletter, Covering Ground. LEARN MORE with HMI at www.holisticmanagement.org.